The mercenary and demolition expert of Overwatch is being prepared for a couple of major buffs that will add versatility to his existing kit of abilities. Posting on the official forums, principal designer Geoff Goodman revealed that the development team is changing Concussion Mine to allot two charges that can be consumed back-to-back. This should give Junkrat more offensive options for skirmishes and also to set up traps in key junctions. 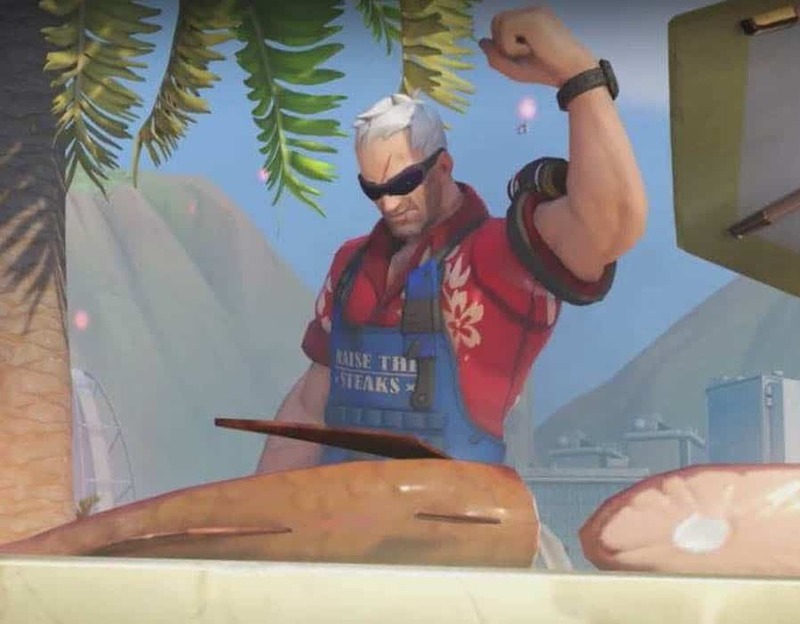 The developer added that the changes are targeted at increasing the survival probability of the hero in Overwatch, as well as offer him improved mobility. Take note that once both charges are consumed, Junkrat must wait a brief period of time before they become available again. This makes it important that players think before jumping the gun. The buffs for Junkrat are slated to arrive on the Public Test Region (PTR) in the next update, which will also include a few upgrades for Roadhog to better his situation. The scrapper is receiving damage reduction buffs in the form of an improved version of Take a Breather, which now allows Roadhog to move while healing. The developer admitted that the defensive buffs may prove too strong for Roadhog. This should be ascertained when the changes go live for testing. Continuous feedback from the players will work to fine tune the hero before the changes are pushed live.